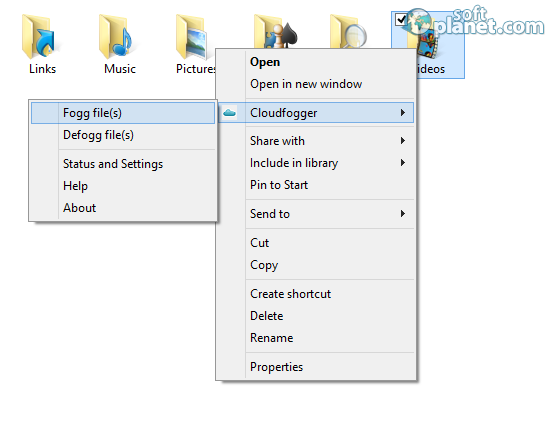 SoftPlanet makes it possible for everyone to get free Cloudfogger download directly from our servers. There is no registration needed for downloading. Cloud storage service became our world in the past few years. We use it for storing and sharing some of the most precious files and documents. Thus keeping them safe is extremely important. Most of the cloud storage services offer some basic security, but is it enough? If you are not completely sure about the answer of this question then you definitely should download Cloudfogger. 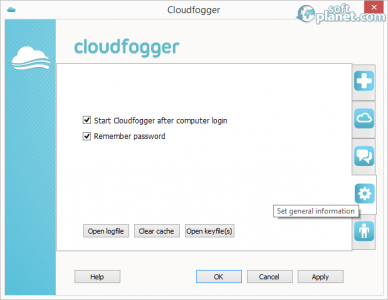 What is special about Cloudfogger 1.4.2160.0 is its encryption method. The software encrypts your files with 256bit AES encryption on the local drive before they get uploaded to the cloud. 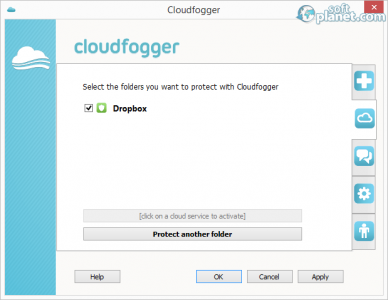 Thus Cloudfogger guarantees that Dropbox, Microsoft OneDrive, Google Drive and others will never get access to the content of your data. Besides that the software allows you to easily share your Dropbox folder and even distributing files via e-mail or USB sticks without sacrificing security. This is a huge challenge, but Cloudfogger managed to deal perfectly with it. As you may have already suggested, this application is not about how it looks, but how it works. The designers managed to create a simple, yet very user-friendly interface. 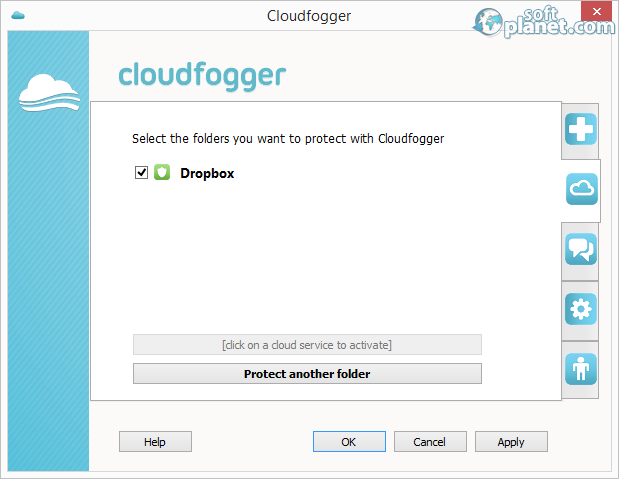 What we just love about Cloudfogger is that you don't need to manually encrypt and decrypt, because it does it for you. This makes it very appropriate for all kinds of users. Nowadays security became extremely important. Having antivirus software is now only mandatory. Thus cloud storage security should not be underestimated. 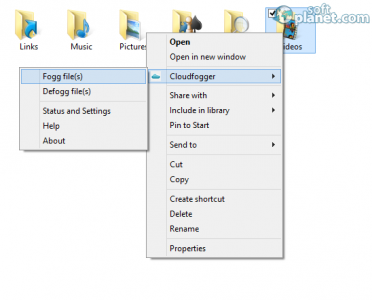 Downloading and installing Cloudfogger will take you only a couple of minutes tops, but your files will be safe forever. Our security scan shows that Cloudfogger is clean from viruses. The current version of Cloudfogger has been scanned by our system, which contains 46 different anti-virus algorithms. 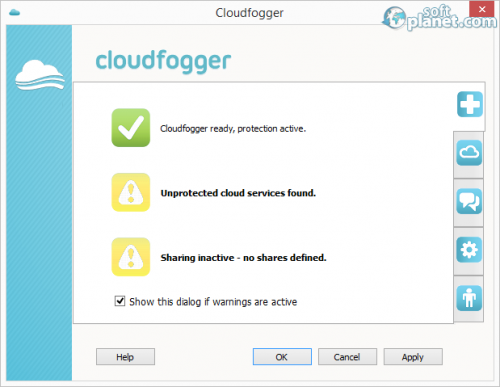 That ensures that Cloudfogger 1.4.2160.0 is 100% safe for your computer.